Other Information: The different coins have different names. Ҝ1 is tenget, Ҝ3 is kasu and Ҝ9 is dele. Full Name of Nation: The New California Republic. Official Name of Currency: The New California Republic Dollar (Commonly abbreviated to NCR Dollar). Did It Replace An Older Currency? If So, What Currency Did It Replace? : The bottle cap. Subunits of Currency: Cents (¢). Current Denominations of Currency (Coins): 1¢, 5¢, 10¢, 25¢, 50¢, $1. Current Denominations of Currency (Banknotes): $5, $20, and $100 bills. Former Denominations of Currency (Coins): None. Former Denominations of Currency (Banknotes): None. Other Information: The NCR created its own currency in the form of gold coins around the turn of the 22nd century. Bottle caps were useless at this time due to the gold reserves of the NCR. This changed when the Brotherhood of Steel destroyed the gold reserves in 2281. The NCR dollar devalued and the conversion rate increased to 2.5 NCR dollars to one cap. Other Information: Doshutu is prounced as Dos-hutu, not Doshu-tu. Each Japari Coin Type is mostly gold (a ring around the edges and as a paw print in the center), and the center is color-coded to tell where the Japari Coin comes from. This is because while they are the same currency, they have different exchange rates, though all types are accepted in countries using Japari Coins anyway. In the case of Lycaon's Cerulean-Free State, it is colored in the same red as the Soviet flag. The Subdivisions of each nation aren't accepted universally, however, as they are all different. Last edited by Lycaons Cerulean-Free State on Sun Jan 06, 2019 8:04 am, edited 1 time in total. A parallel(?) to Tsuchinokos Hermit Kingdom. They're a Muslim Cult State that does a variation of Sharia Law while we're a deadly Militaristic State, so pick your poison, I guess. Can also be described as a "Baltic Post-Communism Anime Democracy", according to the Alteran Republic. Probably the one place in Kanto Jinfuken that nobody wants to go to, with an acceptable reason. Current Denominations of Currency (Coins): 1zj, 5zj, 10zj, 50zj, 100zj. 1óz, 5óz, 50óz, 100óz. Current Denominations of Currency (Banknotes): 1zj, 10zj, 100zj, 1000zj, 5000zj. A beautiful nation full of happy people who speak Eskaai (A conlang made by me. ), and English as a secondary language. Official Name of Currency: Pound Sterling or "Commonwealth Pound"
Other Information: The Commonwealth Pound is a non-decimalised currency. Various coins exist of differing values, but as it stands there are 12 pence in a shilling and 20 shillings in a pound. Last edited by Anglia Scotia and Hibernia on Sun Jan 06, 2019 9:40 am, edited 1 time in total. - There are currently 176 countries listed on the database. - Countries that start with the letter A make up the largest portion of the database at 22 nations, followed immediately by countries that start with the letter T, at 21 nations. - No countries that start with the letter O are on the database. - Excepting for the letter O, the letter with the least number of countries starting with it in the database is the letter X, which only has one country listed. - The most common currency name is the 'dollar', with 21 nations referring to their currency as the dollar. The second most common is the 'pound/pound sterling', with 11 nations referring to their currency as either the pound or pound sterling. Former Denominations of Currency (Coins): The ©1, ©2 & ©5 coins were discontinued on account of being practically worthless. 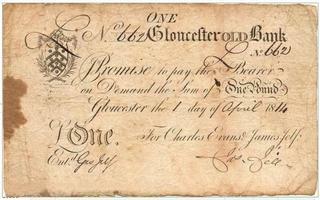 The Imperial pound at its highest point of inflation, was worth 3 417 194.04712 Pounds to 1 US dollar. You would have to give about 10 million pounds to the cashier in order to get a single loaf of bread. Average income at the time was 25 619 464 million pounds per month, which meant that people could not afford anything. This lead to the Great Famine, which killed about 10 million people between 1971-1979. In 1976, a proposal was handed to the Legislatorium, which wanted to adopt a new currency. This proposal gained huge support, and on the 3rd of March 1976, the Legislatorium accepted the proposal. Due to how the Government worked, the Legislatorium had to wait a year, plus wait until the National Council says their results, to make one final voting, in order to adopt the currency. The National Council were thrilled with the proposal, and agreed on 16th of December 1976. On the 25th of February of 1977, the Emperor gave his approval. On the 25th September 1977, the final voting began, and five hours later, it was accepted. Now the Supreme Court had to declare it "enforceable", which would force the Government to enforce the law, and with that, also change currency. The Supreme Court started the case on 13th December, 1977. The Supreme Court declared the proposal enforceable just two months later, on the 14th of February, 1978. 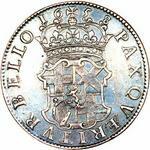 The currency was based on silver, with 10.75 grams of silver equaling 1 Freat. Current Denominations of Currency (Coins): 1 penny, 2 pence, 5 pence, 10 pence, 20 pence, 50 pence, 1 aureus, 2 aureuses, 5 aureuses. Current Denominations of Currency (Banknotes): 10 aureuses, 20 aureuses, 50 aureuses, 100 aureuses, 200 aureuses, 500 aureuses, 1000 aureuses. Did It Replace An Older Currency? If So, What Currency Did It Replace? : It replaced the Yen, which was used since independence. Images of Currency: Imagine Japanese Yen, but just a bit different. Other Information: The Internationalised Bunbunmaru Yen was adopted as the official unit of currency in order to make the conversion process less difficult, and it is modelled after the US Dollar. The regular Yen is also legal tender. Last edited by Shameimaru-Bunbunmaru on Thu Jan 17, 2019 11:24 am, edited 1 time in total. Pro: Nothing, Anti: Nothing, Neutral Opinion: Political Apathy. Did It Replace An Older Currency? If So, What Currency Did It Replace? : It became the universal currency for the entire Suhurbian landmass when the federation formed. Before then, each nation had their own currencies. Other Information: The Suhurbian Credit Value became the universal currency for the entire landmass, after the formation of the federation in 1900. Not to be mistaken for Suburbia. Current Denominations of Currency (Coins): 1Ƶ, 5Ƶ, 10Ƶ, 50Ƶ, 100Ƶ. 1óz, 5óz, 50óz, 100óz. Current Denominations of Currency (Banknotes): 1Ƶ, 10Ƶ, 100Ƶ, 1000Ƶ, 5000Ƶ. Former Denominations of Currency (Coins): t.b.d. Former Denominations of Currency (Banknotes): t.b.d. Current Exchange Rate with USD/NSD: t.b.d. Last edited by Nhoor on Sat Jan 26, 2019 7:46 am, edited 2 times in total. Jora li Nhórili monarcíya mey Gehermhach pw Bajwrey. Cleca òt henna déqhahen Lesta wnho Yasytwnwn. The Dominion of Nhoor is a monarchy in the Western Isles. Click here to view the Factbook. ♔-Och pw horòm phoda mey gemarcalóbòtey qa tava monarcíya | Put this in your sig if you're a monarchy! Did It Replace An Older Currency? If So, What Currency Did It Replace? : Yes. 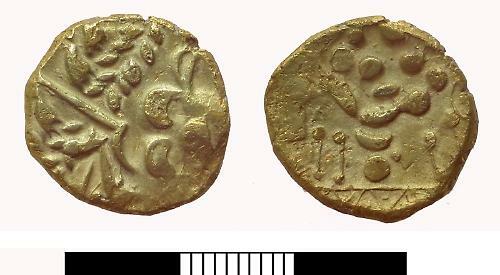 When Styrkuria (former name of W1LLAN1A) was controlled by the Swelandian Empire, its currency was krona, but not the currency of its own, since Styrkuria was a Swelandian colony. Other Information: The W1LLAN1AN krona started circulating after the collapse of Soviet Scandinavia. In 1830, when Styrkuria (now as W1LLAN1A) was claimed by New Sweden, its currency is the Swedish krona, but when New Sweden became the Swelandian Empire, it became the Swelandian krona. Circulation of kronor paused when Soviet Scandinavia was formed in 1926. When SovScan collapsed in 1987, Styrkuria started circulating its own kronor. 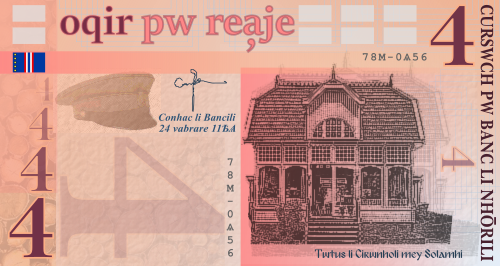 And when Styrkuria became W1LLAN1A, the kronur circulation still exists. Hi, I know the OP of this thread says that if your currency's information needs to be updated to post another form, but I would prefer if that is limited to things which would genuinely require the listing to be updated, such as the adoption of a new currency or the renaming of the existing currency. For changes such as a new exchange rate, it's preferred if you simply edit your original post. I will be updating the OP with this information, as well. Did It Replace An Older Currency? If So, What Currency Did It Replace? : The Sonnett which exists since 1865 is called the "Second" Sonnett currency. The "first" one that was also called the Sonnett has been in use from 1710 to 1865. Subunits of Currency: None. For example if you have 25.05 Sonnetts, it's a bit like if you have 25 dollars and 5 cents. If you have for example 0.50 cents, it will be like 0.50 Sonnetts. Former Denominations of Currency (Banknotes): 5 LST, 10 LST, 20 LST, 50 LST, 100 LST, 200 LST, 500 LST, 1000 LST. Then 2000, 5000 and even 10000 LST existed but they were incredibly rare. Last edited by Lavemia on Wed Feb 06, 2019 3:56 pm, edited 1 time in total. Other Information: As stated above, the entirety of our currency was converted to a digital format, the process carried out in 1928. The Onigiri Enclave is a highly progressive scientific largely secularist nation welcoming to all (as so long as you aren't a bee or a jaywalker). Founder of The Bunny Fire. The Bunny Fire - Where you are free to be yourself. We just ask that you EAT THE CARROT. A Type 8, Level 2, Tier 5 civilization, according to this index. Other Information: Due to the colonialist roots of the Philippine Peso and confusion with the Latin American Pesos, the Federal Government replaced the name of the national currency to Salapi. The Piloncito, was not officially added as a sub-unit of the Salapi until 2001, when its collapse of value within the Visayas Republic prompted immediate aid through the Salapi Currency System. Last edited by Democraticong Filipinas on Mon Feb 04, 2019 4:21 am, edited 1 time in total. A post-3rd world commune risen from ruins of its former slums, stagnant economic growth and heavy political imparity which stained its reputation as what once was the 'Pearl of the Orient'.